Even experienced Blackjack players may be overwhelmed at the variety of Blackjack games that are available to play online. Playtech, one of the world’s largest and most prolific online casino software developers has no less than six versions of Blackjack available to fans of the game of 21. Whether you’re unsure of the unique rules of Pontoon, or are interested in the increasing payouts available from Progressive Blackjack, knowing the differences between each version can help you to win, no matter which one you’re playing. Standard, or Classic Blackjack is the most popular form of the game, enjoyed in hundreds of countries around the world. 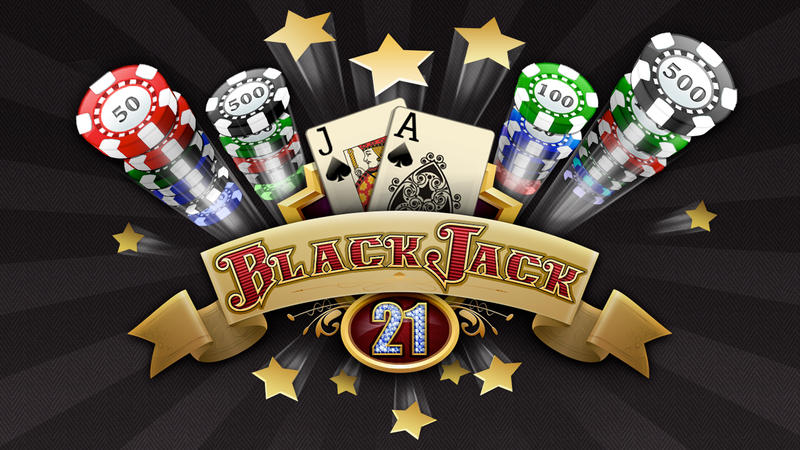 In Blackjack the aim is for the player or the dealer to reach 21. The dealer must always stand on 17. Players have the option to split, but only once per game. This will allow splitting an ace, then standing after the next card. Players can also double down on the first two cards in Playtech Blackjack, and the software also allows for insurance when the dealer shows an Ace. Games are played with six decks. Bets range from 1 to 300 credits. There is no option to fold. Playtech’s Blackjack Surrender games follow standard rules, but allow the option to surrender/fold. The advantage of folding is that not all of the bet is lost, instead players will lose only half of their original bet. The dealer must still stand on 17, insurance is offered, and players can still split. If you want classic rules with extra security, then one of Playtech’s Blackjack Surrender games could be exactly what you’re looking for. Six decks of cards are used for gameplay. Bets range from 1 – 500 credits. More complicated than the standard game, 21 Duel requires a slight learning curve for new players. There is no standard Blackjack in this game, instead any combination making 21 is considered a Blackjack. In addition to this new rule, there’s also an extra bonus bet for players. The dealer’s process in this Blackjack alters in that the player is given two cards, a face down and face up, while the dealer receives two face down cards. The big twist here is that there are also two communal cards dealt. They are both face up, and the player can choose one of these first. Following this, if no one has made 21 then the player can choose to hit by revealing the facedown card, or forfeiting that card and using only the face up card and the communal card. The dealer will also choose to reveal one of their cards. Standard rules apply in that going over 21 is a bust, and the dealer stands on 17. However, if the dealer reveals both his cards to be less than 13 with the communal card included, the player automatically wins. Although these rules can appear confusing at first, a few rounds of online free play will help players grasp the fundamental concepts. Fans of this game love the extra challenge involved, which allows for more thrilling play than standard Blackjack. Bets range from 1 – 500 credits, and the game allows splitting, surrendering, and player insurance. This variation allows players to switch out their cards, essentially providing two hands at the beginning of a round. Players are dealt hands with one up and one down card, and the up cards can be switched for whichever the player prefers. There’s also a bonus side bet that allows players to place extra wagers on hands like 3 of a Kind, 2 Pairs, 5 of a Kind etc. Blackjack and insurance payouts are standard, but there’s also the bonus bets with varying payouts. Players may not surrender/fold in Blackjack Switch. Almost identical to standard Blackjack, the added feature in pontoon is the 5 Card Trick. A standard Blackjack wins in this game, but it’s referred to as ‘Pontoon’. The other winning hand is if the player or dealer has 5 cards without going bust over 21. Two guaranteed winning hands make this game more exciting than the original. Pontoon uses 8 decks instead of 6. Pontoon (Blackjack) and the 5 Card Trick both pay 2:1, while 21 or less pays the standard 1:1. Dealer still stands on hard 17. Players can split, however there is no insurance or surrender. Out of all the variations, Progressive Blackjack is without a doubt the most exciting for players. Online casinos offer progressive jackpots on a number of traditional games, and Blackjack is no exception. The standard rules apply here, so players familiar with Blackjack will have no trouble understanding the rules. The difference is found with added progressive bonus bets on the cards being dealt. A single ace for a 5:1 payout. 2 suited Aces for 100:1. 3 Suited Aces for 5000:1. Even on a bet of a single credit, players could hit a significant jackpot, and with the max bet set at 300 there are some serious winnings possible on Playtech’s Progressive Jackpot Blackjack. Now that you’re familiar with Playtech’s Blackjack variations, why not give one a try? There are online casinos that offer free play, and with bets that start at a single credit there’s little risk in finding your new favorite Blackjack game today.